Bruno Miguel Borges Fernandes is a Portuguese international football player who is well recognized by the name Bruno Fernandes. The young talent currently plays for the Sporting CP and the Portugal national team. He plays in midfielder position, wearing the shirt number 8. He started his football career from Portuguese club Infesta in 2002. He began his professional career from Italian club Novara in 2012 and has played for other Italian clubs, Udinese and Sampdoria. He helped his present club Sporting CP to win the 2017-18 Taca da Liga. Since 2017, Fernandes is included in the Portugal senior team, having previously played for the youth teams including Portugal U19, U20, U21, as well as U23 national teams. - He helped his club Sporting CP to win 2017-18 Taca da Liga and was named in the UEFA Europa League Squad of the Season (2017-18). Bruno Fernandes was born on 8 September 1994. His birth Place is Maia, Metropolitan Area of Porto in Portugal. He was born to Maurilio Fernandes das Dores de Souza and Sandra Cassia Souza de Oliveira Santos. His holds Portuguese nationality. At the age of eight, he started training in local club Infesta. He then joined Boavista in 2004, where he played most of his youth football. Italian club Novara signed Fernandes in 2012, at the age of 18. He was initially signed to club's youth system. He was promptly promoted to the first team in Serie B. He helped the club to finish in the second position, qualifying for promotion playoffs. Another Italian club Udinese signed Fernandes in a co-ownership deal in 2013. He made his Serie A debut on 3 November against Inter Milan. He scored his first league goal for the club on 7 December against SSC Napoli. Fernandes spent around three seasons at the club. Fernandes moved to UC Sampdoria on loan in August 2016 and made his league debut for the club against Atalanta BC. He scored his first goal for the club against Cagliari Calcio in September 2016. He played only a season at Sampdoria. In June 2017, Fernandes returned to his home country joining Sporting CP on a five-year deal for a reported fee of 8.5 million Euro. His buyout clause was set to 100 million Euro. He helped his new club to win 2017-18 Taca da Liga and was named in the 2017-18 UEFA Europa League Squad of the Season. Fernandes and his Sporting teammates, including coaches were injured following an attack by around 50 supporters of the club at the club's training ground on 15 May 2018. He was also named Portuguese League's Player of the Year in July 2018. Initially, Fernandes has represented Portugal national team at different age levels including U19, U20, U21, and U23 teams. He helped Portugal U23 team to quarter-finals in the 2016 Summer Olympics. He was called up to the senior team in August 2017. He made his debut for the senior team in November 2017 against Saudi Arabia. He was also included in the Portuguese squad for the 2018 FIFA World Cup in Russia. The Portuguese international is a married guy and he is married to Ana Pinho. They tied a knot to each other on 23rd December 2015. The couple is blessed with a child, Matilde, born on 31 January 2017. They are living a happy married life. No rumors or controversies surrounding him or his family has come to the light. He is an animal lover. 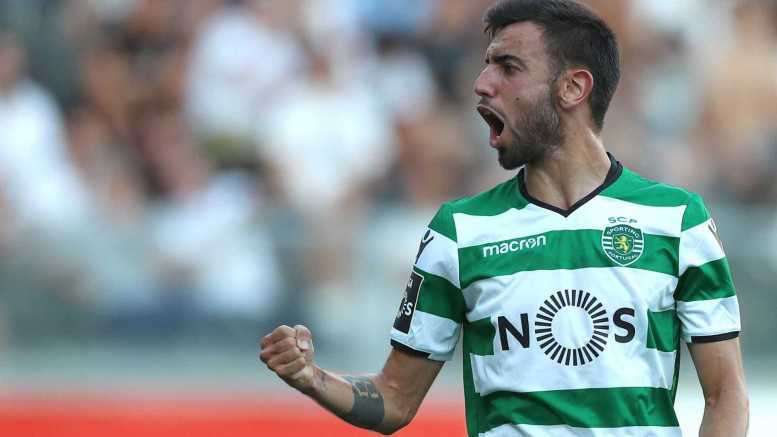 Bruno Fernandes stands 1.83m tall ie six feet. He has a body weight of 80kg. He has a balanced body and has managed his body perfectly fit. He has an annual salary of $1.2 million. 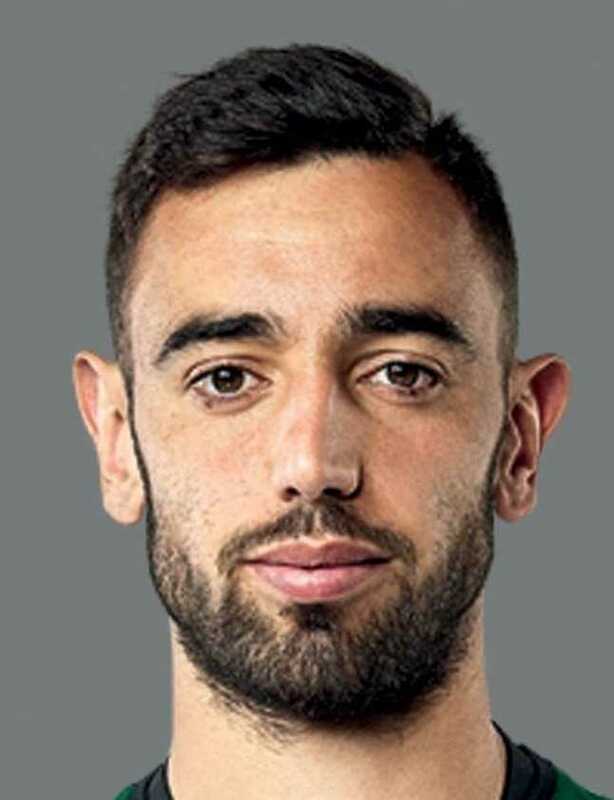 As of 2018, the net worth of Bruno Fernandes is estimated at around $2 million. His current market value is estimated to be $21.27 million. In June 2017, Portuguese club signed Fernandes for 8.5 million Euro, plus additional bonuses. His release clause was set to 100 million Euro. Many big clubs might soon be interested in signing the Portuguese midfielder. He has a sponsorship deal with Nike.